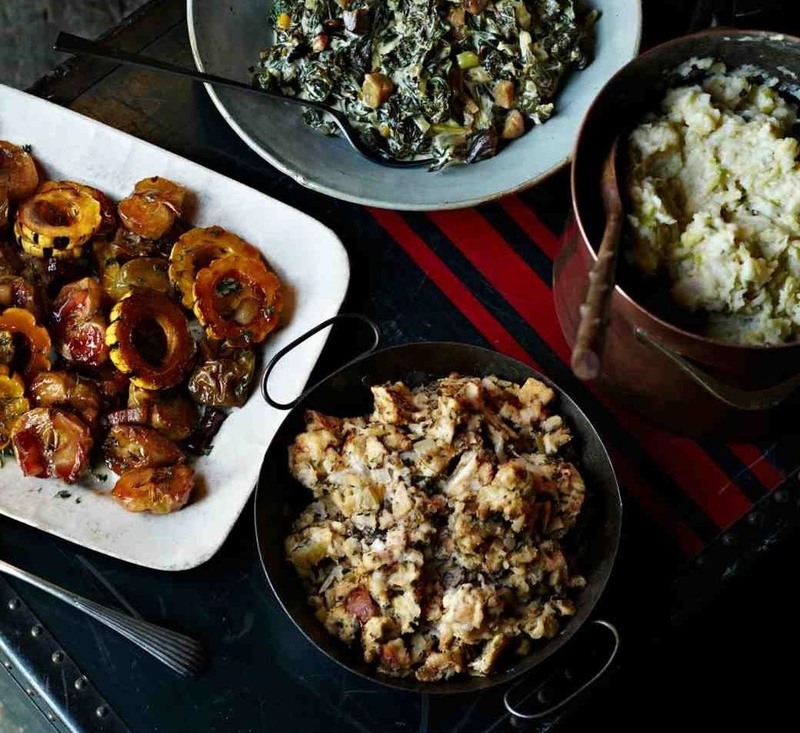 Why not try giving your Thanksgiving stuffing a little pizzazz by playing around with alternate forms, surprising ingredients, or unexpected cooking techniques? Isn't it time you learned different ways to take that traditional dish to new heights? We're big fans of using your waffle maker to improve almost everything you eat. Turns out that it works wonders on your Thanksgiving stuffing. 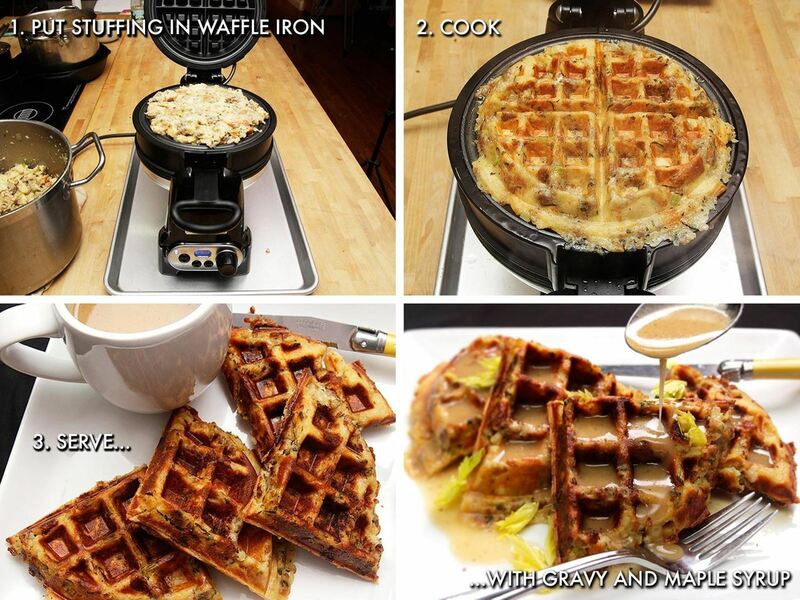 Why waffle the stuffing? Well, more crispiness and nooks and crannies for extra gravy, as Serious Eats points out. Be sure to check out Food Republic's guide, which gives you great tips on how to make sure your stuffing waffles are up to snuff. My favorite part about stuffing is the crunch, which is why I favor cooking it outside of the bird. (Some insist that you call it dressing in that case.) While the waffle maker is a good way to maximize crunch, another method is even easier: use a cookie sheet. This ensures no sogginess or undercooked stuffing and major amounts of crispy, buttery, savory stuffing goodness. Plus it's easier to clean than a waffle maker, especially if you line it with aluminum foil first. 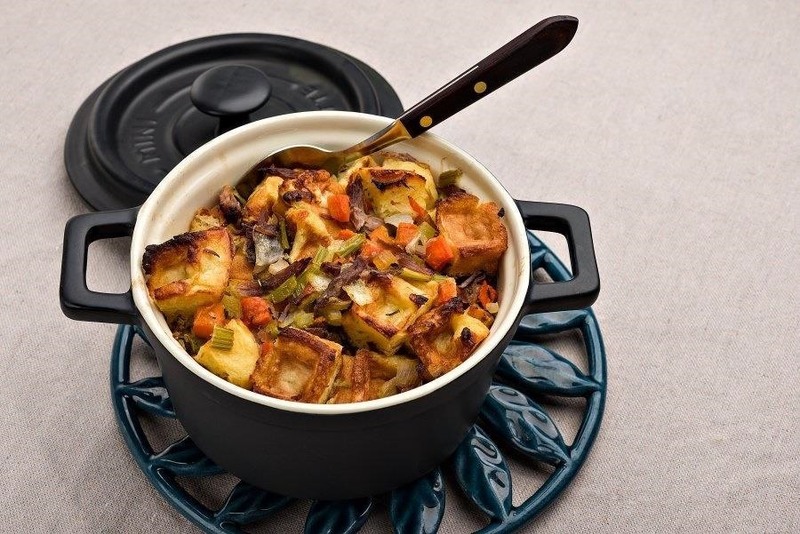 For those who prefer their stuffing on the moist side, you have a great, no-frills option: the slow cooker.You can set it on low and it'll cook the stuffing to the perfect consistency. Check out The Kitchen Is My Playground's guide here for more details. And while we already knew that rice cookers could make bread, pancakes, and mashed potatoes, they can also be used to whip up a good Thanksgiving stuffing, too. Check it out! Stuffing made with good-quality white bread is a classic, but it can also get a little old. Even cornbread, while a good change of pace, feels pretty commonplace. Thankfully, there are lots of other carbohydrates that make great stuffing. (Bagels, anyone?) According to Martha Stewart, crackers were commonplace and often used to stuff/dress poultry. 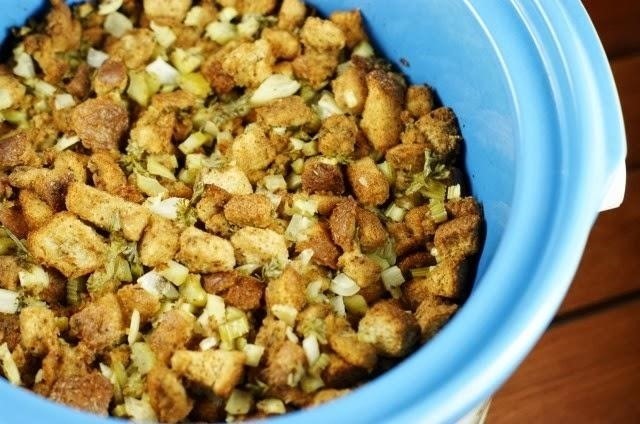 Try her modern version with this herbed cracker stuffing recipe. There's also a version you can make with buttery Ritz crackers. Heck, there's even a version that uses Cheez-Its! And if you're a pretzel fan, you're in luck: there are recipes out there for stuffings that use both hard pretzels (along with wild rice) and soft pretzels (or pretzel bread). 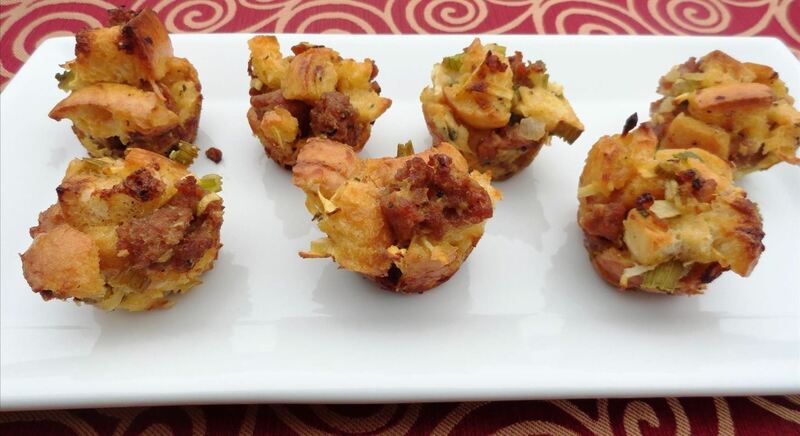 It's a well-known fact that almost all food tastes better when it comes in bite-sized forms, which is why you need to make these sausage-and-apple mini muffins. If you're feeling more generous with your stuffing, you can also make a full-sized version, of course. Try this version with pancetta and sage. Frankly, either size would be eminently noshable. 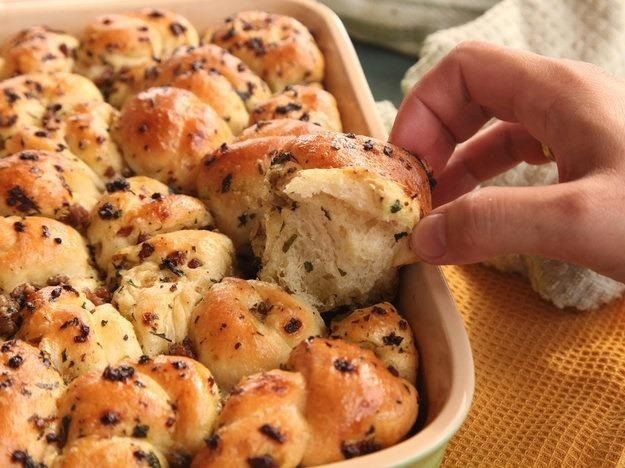 This recipe from Serious Eats puts all the delicious, herb-y flavors of stuffing and the fun of pull-apart bread (also known as monkey bread) in the same dish. It's wizardry, I tell you. 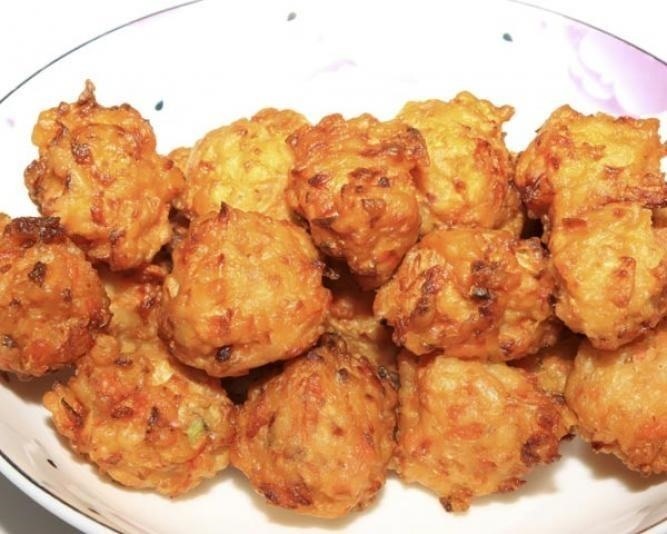 Thanksgiving day is not a time to focus on health, which is why these crispy fritters are perfect to make as an annual treat. As the Daily Meal describes them, it's like combining stuffing and a hush puppy into one amazing bite. If you really wanted to rattle some cages, you could combine mashed potatoes and stuffing, but the traditionalists in your family might rise up against you. Still, it might be worth the risk. 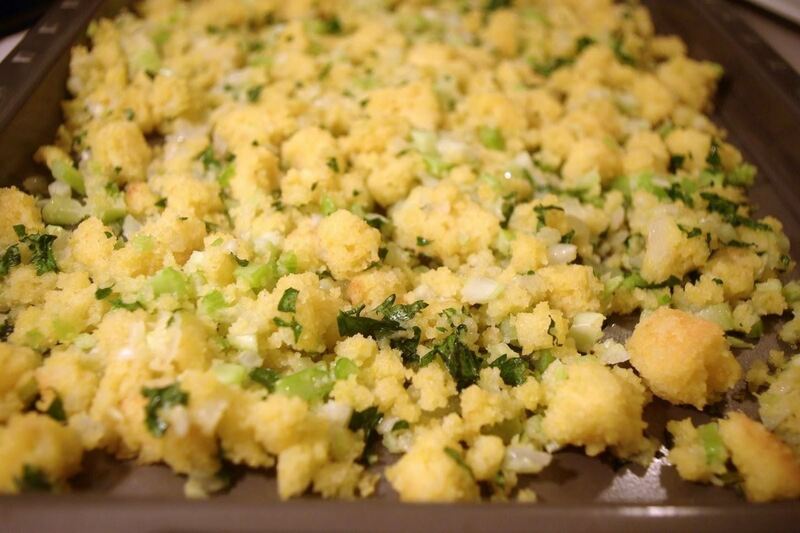 What's your favorite way to make stuffing?